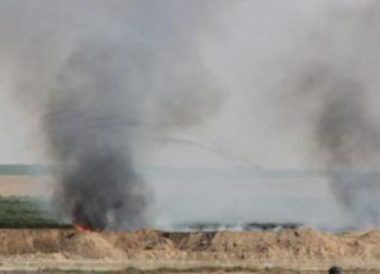 The Israeli army is to hold “a wide-scale drill ‎simulating a ground operation” in the occupied Gaza Strip, reported Israel Hayom. The military confirmed that a scheduled “wide-scale ‎exercise simulating a ‎ground incursion of Gaza City” by the Southern Command’s 162nd ‎Division will indeed go ahead this week. Gaza City is the largest city in the blockaded territory. According to the news site, “Armoured, Infantry, ‎Engineering and Artillery corps’ troops will drill ‎various urban warfare scenarios using areas in ‎Beersheba and several Negev Bedouin towns”. 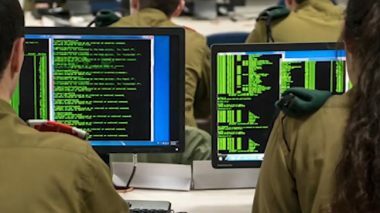 Israel Hayom added that the exercise “is the first of its kind in years”, and that Southern Command officials believe the drill to be “of great ‎importance to the troops’ combat readiness”. “GOC Southern Command Maj. Gen. Herzl Halevi met last ‎‎week with Beersheba Mayor Ruvik Danilovich and ‎‎briefed him of the exercise’s objectives. 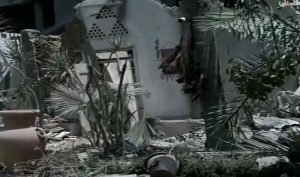 Danilovich ‎‎‎said the municipality would lend the IDF any ‎‎assistance necessary”, the report continued. According to a senior ‎Southern Command officer, “in an event of ‎further security escalation between Israel and ‎Hamas, the 162nd Division would be scrambled to the ‎border”. 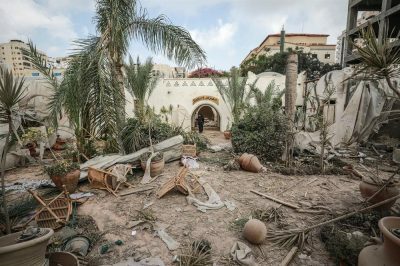 Last month, Israeli media reported that the military had prepared plans for a full-scale invasion of the occupied Gaza Strip, in the event of a serious escalation in the south. Throughout he month, Israel continued to target journalists with live ammunition. It is worth noting that three journalists were injured by live bullets, namely: Mohammad Abdelraziq Albaba, a photographer at Agence France-Presse AFP, who was injured with gunshot in his foot while covering the events of the Great March of Return taking place in Abu Safiya, east of Jabalia refugee camp. A photographer fromTurkish Agency “Anatolia”, Ali Hassan Musa Jadallah, who was shot in the palm of his right hand while covering the march to east of Khan Younis, and freelance journalist, Haitham Adnan Madoukh (working for the local Sky Press Agency), who was wounded by a gunshot through his left leg, below the knee, as he was covering the events of the march in the east of Gaza, which caused him a severe laceration in the bones. 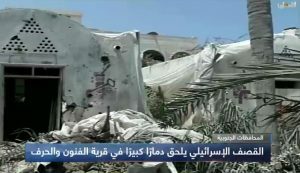 Furthermore, two other journalists were injured with gas bombs fired directly at them, while a female journalist was injured with a rubber-coated bullet, in addition to the suffocation of dozens of journalists, which resulted in four cases of fainting and severe respiratory distress, and required immediate treatment and hospitalization at health centers, for various periods of time. The largest portion of these violations, which took place during June, are classified as serious violations. On top of this were the widespread violations committed by Palestinian security agents dressed in civilian clothes, against journalists who were covering a peaceful sit-in, in downtown Ramallah, on 13 June, 2018. This is in addition to violations similar in essence and form committed, by members of Hamas and security agents in civilian clothes, against both male and female journalists who were covering the sit-in, which was taking place at Al-Saraya Square, downtown Gaza, on 18 June, 2018. This included physical assaults, using sticks and hands, against a number of journalists, as well as the seizure of some tools and the destruction others, deleting media recorded by the journalists, in addition to preventing them from media coverage. This is also in addition to the widespread and collective assaults which affected those taking part in both sit-ins (Ramallah and Gaza). It should be noted that these sit-ins were taking place to protest against the failure to pay the salaries of Palestinian Authority staff in the Gaza Strip. The Palestinian Information Ministry issued a statement strongly denouncing the new Israeli “Facebook Bill,” and described it as one of Israel’s illegal policies, especially those aiming at concealing and burying the truth, and the ongoing crimes committed by its army against the Palestinians in occupied Palestine. In a statement released Monday, the Ministry said the new Israeli bill, is a continuation of its policies, which aim at inciting against the Palestinians, and silencing those who expose its crimes on social media networks. On Monday, Israel passed the bill, allowing it to proceed to the final readings before it becomes a law. The bill was submitted by Israeli Justice Minister, Ayelet Shaked of the “Jewish Home Party,” and Public Security Ministry Gilad Erdan, of the ruling Likud party of Prime Minister Benjamin Netanyahu. On the ground, Israel has already been abducting and imprisoning Palestinians for Facebook, Twitter and other social media posts that were deemed “incitement,” or “promoting violence,” but failed to act on posts by Israelis openly calling for killing and harming the Palestinians. Last month, the Palestinian Authority’s Information Ministry sent a letter to the International Federation of Journalists (IFJ) complaining about the preliminary Israeli Knesset proposal, which passed the first reading, forbidding journalists, and ordinary residents, from filming and documenting Israeli invasions and military activities in occupied Palestine. JERUSALEM, PALESTINOW.COM — With bruises in the face, hands and back and blood congestion in the hands of Jerusalemite boy Muhi Majed Al-Rishq, it is clear that he has been subjected to assault in the interrogation room, at the police station in the Old City of Jerusalem. Most Palestinians children and youth detained have been reported to be subjected to some kind of assault in Israeli interrogation centers. The child Muhi Al-Rishq, aged 15, from Al-Saadiyeh neighborhood, in the Old City of Jerusalem, one of the victims of torture and ill-treatment by interrogators in the center of Qishla, was subjected to torture in order to extract a confession from him against minors and young Jerusalemites. Lawyer Mahmoud Rabah said that Israeli interrogators take the detainees to areas located away from surveillance cameras, to be interrogated, beaten and tortured, to coerce them into admitting to violations they did not commit. He further noted that Israeli interrogators assaulted the child Muhi al-Rishq during interrogation in Al-Qashala center. The assault reportedly left marks on his body, under his right eye, face and hands. Israeli police also tightened the handcuffs on his hands while they were taking him to court. 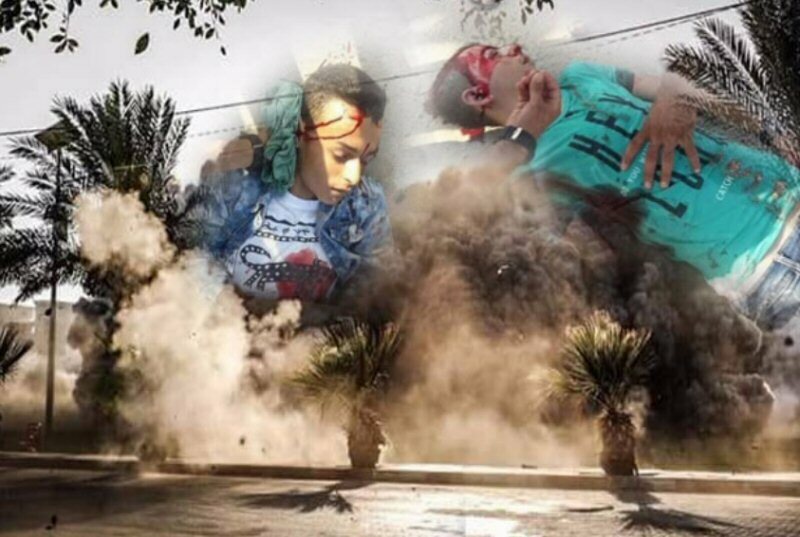 The lawyer noted that he filed a complaint to Mahash Center for Complaints against Israeli police, expressing his hope that action would be taken against the attacks against children, minors and other young people. He stressed that whether the detainee is a minor or an adult, it is strictly prohibited to extract confession from them by using physical force or psychological violence. He explained that the torture involves several varieties, which can involve both physical and psychological abuse. It is practiced in the Qashla police stations of the old town of Ouz, in Jabal al-Mukaber, and the Salah al-Din center. Usually, the interrogators exert more psychological pressure on the detainees. Eight Palestinian minors from the Old City district of occupied Jerusalem reportedly faced a fierce Israeli onslaught, as forces stormed their family homes, ransacked them and, then, beating them in interrogation centers, to extract confessions. The West Bank Magistrates’ Court released five young men and women from the city’s Old City, last week, on condition that they be held under house arrest for 5 days, pay a NIS 1,500 bail, and sign a third party guarantee of NIS 5,000. The head of the Committee overseeing families of Jerusalemite detainees, Amjad Abu Assab, said that Israeli occupation authorities are carrying out a lot of unjust measures against the Palestinian people, especially children, and follow a policy of exchange in roles, on judicial, political and security levels. About two and a half years ago, Israeli authorities adopted a series of laws against children, most notably allowing the interrogator to interrogate the child separately from his parents, and without consulting a lawyer. Such legislation allowed Israeli courts a wide scope in issuing high sentences against children, for the most basic charges, and imposing high fines. They also allowed Israeli police to detain children under the age of 14, and to hold them in juvenile institutions, despite the fact that these laws violate international law and the Convention on the Rights of the Child, to which the Israeli occupation is signatory. Abu Assab pointed out that occupation authorities violate international law and the rights of the child from the first moment of detention, from beating them in front of their families, in their homes, to starving and blackmailing them during interrogation. 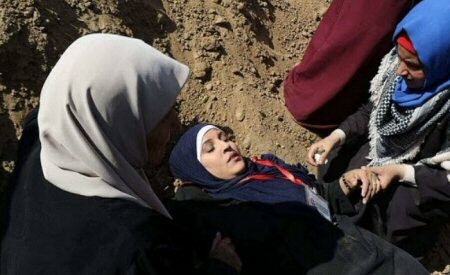 He stressed that all Israeli agencies used such practices under the claims of “fighting terrorism”. About 6.000 Palestinian detainees reside in the Israeli jail and prison system, and most of the children were taken from Jerusalem, according to Al Ray Palestinian media agency. There are about 300 children being detained in Israeli jails, with 70 of them coming from Jerusalem, while some of are detained in juvenile institutions, and a number of girls are detained in Hasharon Prison. He criticised the Israeli military attacks near the kites’ flyers during the past weeks that wounded at least four children.